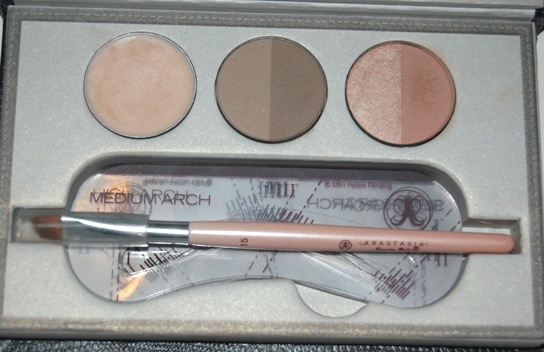 Here is the Anastasia beauty express for brows and eyes that I was lucky enough to be sent to review. Although this review has been in the pipeline for a while (my bad) I’m really excited to share it with you. Please note that while the packaging is impossible to photograph it was lovely to look at! The packaging is very sleek and inside a cardboard sleeve was this leatherette embossed case that is kept safe and shut with a handy magnet. I thought this was a nice touch as I travel a lot and don't want to risk anything popping open/exploding in my bag. The products included are from left to right the brow wax cream, the brow powder duo and a matte and shimmer eyeshadow duo. I know this because somebody had the foresight to put a small insert into the box to tell me exactly what everything is. This is the set of shades for blondes. There is a mirror in the lid of the packaging but I’d say that’s mostly useful for touch ups. If you’re holding a stencil and a brush I wouldn’t recommend trying to use the mirror in the packaging unless you have to. That said, it’s of a reasonable enough size. I used this kit on a train the other day! If pressed you could probably do the rest of your eye makeup in it. There also aren’t any tweezers included in the kit but if you view it as a makeup item, you’re already getting 5 different products, a brush and some very useful stencils. Which is pretty good going! The brush is angled and I was a little surprised to see that for so many products there was a single brush. While I wouldn’t expect something to use for the eyeshadows the only quibble I had was using the same brush for both powder and wax and getting it gunky (for lack of a better word) fast. However, it’s perfectly adequate to do both jobs in one sitting, and would be quick enough to clean off. The hairs are both soft and fairly dense. Step one involves selecting a stencil from the box. Step two involves applying the wax cream to your eyebrow to prep it. 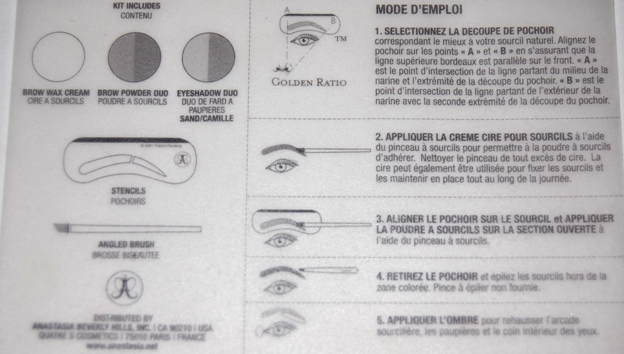 Step three involves placing the stencil over your eyebrow as shown in the diagram and filling in the area left exposed with powder. The next step is to remove the stencil and tweeze any straggling hairs outside of this powdered area. Although this means tweezing in the middle of doing your makeup it does make sense in that you’re still using the stencil as a guideline. The final step is to use the eyeshadows provided to highlight your brow bone, lid and the inner corner of your eyes. If you were to travel with this, you effectively have a whole eye look. The steps are repeated in French on the insert which is admirably thorough. There is an impressive selection of stencils included in the pack and they are the slim high arch, full arch, medium arch, high arch and petite arch. 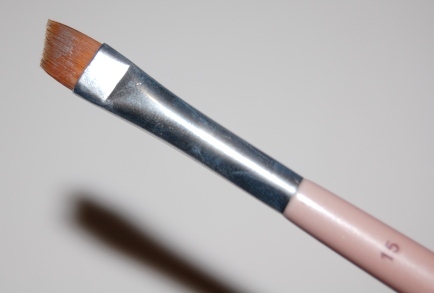 This is one of the things I haven’t seen much of in smaller brow kits and I think it makes this kit much more comprehensive. After a few tests at matching up stencils I went for a medium arch, I initially thought I’d be using the petite one but given my over-plucking I probably wouldn’t normally match that. 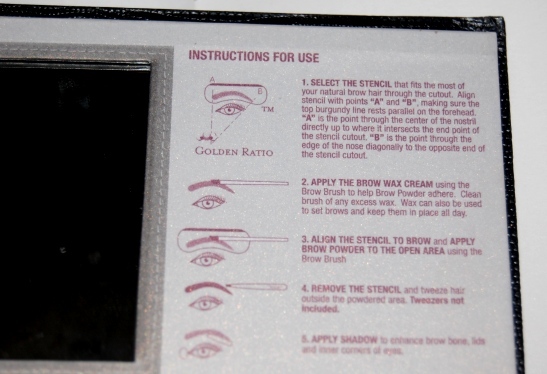 There is a small and useful diagram on the insert of the ‘Golden Ratio’ of where your eyebrow stencil should match up in alignment with your nose. Here are swatches (from left to right) of the wax, two eyebrow powders and two eyeshadows. The wax is clear and doesn’t give as much of a ‘wet look’ as some products I’ve tried. The powder is buildable and the darkest shade doesn’t look out of place against my currently mid-blonde hair. The eyeshadow is very light and works as a good base/neutral tone. Unless you were to cake the products on all at once, it doesn’t look too much and in fact simply looks groomed and ‘barely there.' My ‘Scouse brow’ fears did not come true in the slightest. 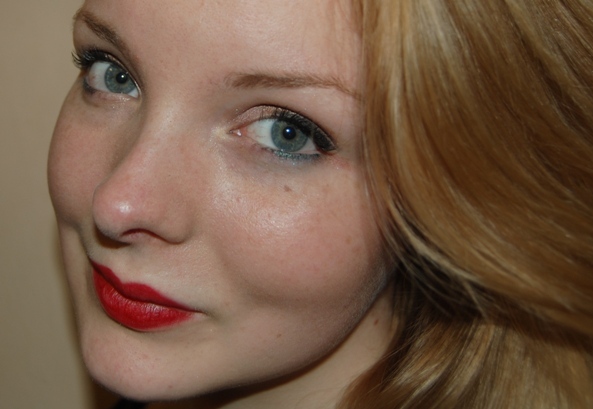 There also isn't too much of a red tone to the powder which I found when using my MUA pencil. With my ELF kit I’d like to add that I used to put the cream over the powder. Don't ask me why, I just thought early on that it worked better. There is a risk of blonde eyebrows looking dark and overdone with my ELF kit (I use the Ash studio brow kit) due to the fact that both the powder and the gel are pigmented. Although it has two ends to the ELF brush I don't think I've ever bothered to really clean them (shame on me)and the one Anastasia brush gets the job done fine. The Anastasia powders seem finer and offer more of a shade range than my ELF kit. I tried using the stencils initially without instructions but bogged myself down in too much product. This time I followed the very helpful instructions on the inside lid of the packaging and it couldn’t have gone better. The trick is to remove the stencil to check out your handiwork before you move onto the next step. I do tend to touch up a little after removing the stencil but honestly my brows look better than I’ve ever seen them. 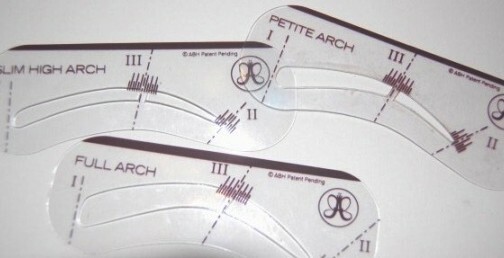 The stencils really help get your eyebrows to look more symmetrical and groomed when working with the product. As far as makeup products go when it comes to achievable immaculate, quick natural looking eyebrows? Anastasia has this one covered! Here I used just the brow powders and wax with the medium arch stencil. This should also demonstrate the fact it blends right in with my hair tone! Will I be swapping my usual budget ELF option for this? Given the higher price on this product I’d probably want to save this up for nights out but I actually can see myself being able to pull this look off every day. When the cream and powder product in the packaging runs out I might not repurchase this entire kit right away (specifically for budget reasons) but I’m going to treasure the stencils and brush for a long time! The stencil element and clear instructions would make this a perfect gift for anyone who is an eyebrow newbie like me and if you look at it like that it’s an investment. Trialling this product has shown me it doesn’t take that long to get the knack of brows. While I may try out another powder, pencil or cream in the future the stencil is the key aspect of this set and it’s a gem. Altogether this kit represents all of the cosmetic products you'd need. The retail price of this product is $39.50 on the Anastasia website or £27.50 at cultbeauty.co.uk but I’m definitely a convert to just how natural looking and effective it is. 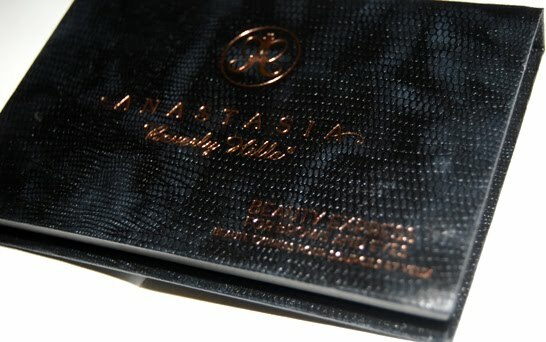 I would very likely look at Anastasia products and try to somehow work them into my budget/stash in the future! While I can't say this is a super cheap product, it definitely does the job, you get multiple products and it would make a great gift. Nice! Seems like a lovely product!